The Comfort Series 4400Wi sliding glass door has been transformed from a great door to an unbelievable door! Our second-generation door has even surprised those who are not easily impressed. We wanted a door that out-shines all other sliding doors in weather tightness, ease of operation, and long-term high performance. We got what we were looking for. This door features unbelievable strength against the elements with multiple areas of heavy internal aluminum reinforcements and multi-chambered fusion-welded vinyl. 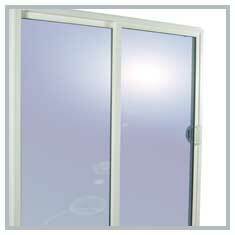 Fixed transoms and side lites are also available for the 4400Wi sliding glass patio door. 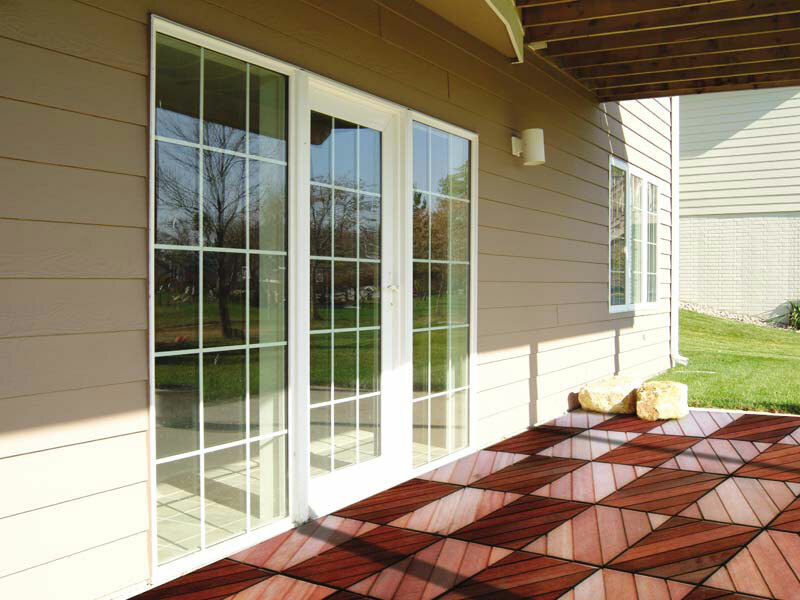 Value Added Features such as Extension Jambs are also available - click here to read more. 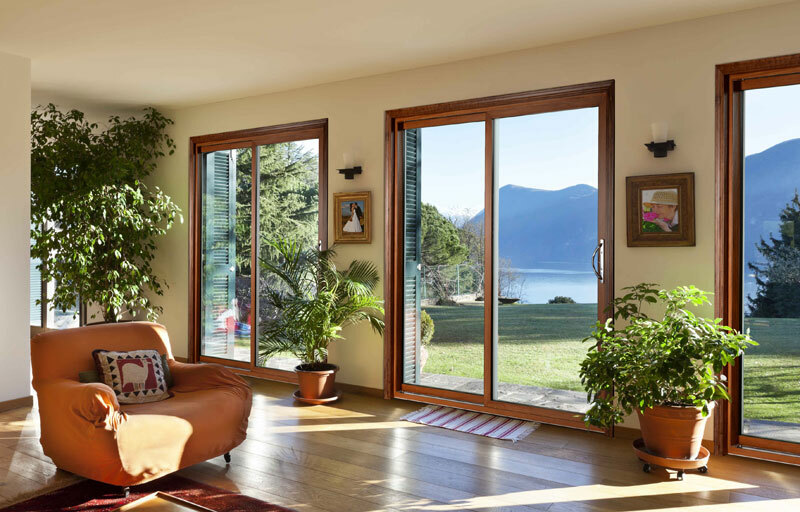 XO or OX Design: We utilize XO and OX designs with the non-operating lite glazed directly into the fully fusion-welded extruded UPVC 4 5/8" frame. This enhances air infiltration performance and cuts installation time substantially. 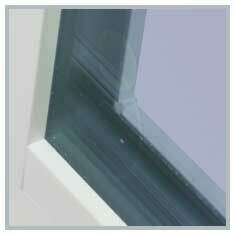 Double Weatherstripping: Twin fin-seal weatherstripping provides a tight seal at the operator panel. 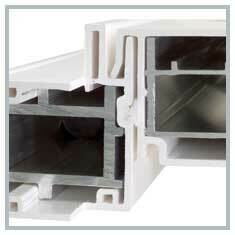 Aluminum Sill Cap: Our UPVC sill is enhanced with a heavy-duty extruded aluminum cap. This makes the entire area more durable, for years of maintenance free use. Hardware: Heavy-duty color matched hardware is standard. Brass, pewter or oil rubbed bronze hardware and keyed cylinder locks or painted 2-point locks are available options. Our sash operates on adjustable heavy-duty, stainless steel ball bearing rollers. Aluminum Stiffeners: Our 4400 door houses a tubular aluminum-reinforced extrusion at the vertical meeting rail and vertical sash styles. We also have a galvanized stiffener in the mainframe head. 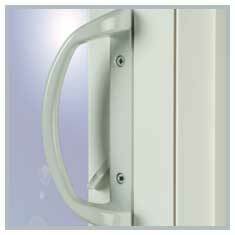 This provides outstanding structural integrity and eliminates header sag, which is common in other vinyl doors. Full Interlock: Our 4400 is fully interlocked at the vertical meeting rail and weatherstripped with fin-seal. Its flared interlock design provides for a solid fit at the meeting rail. 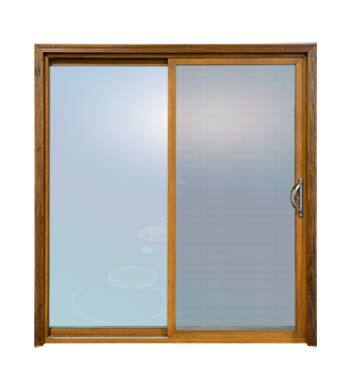 The 4400 Sliding glass door comes with 1" insulated clear or argon filled LoÉ3 high performance glass. 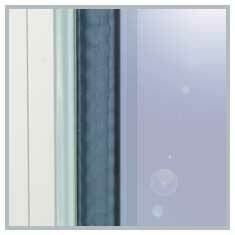 Double LoÉ or laminate glass options are also available. *U-Values for our windows with 1/8" 366 LoÉ3 glass, air only, 1/8" clear glass, no muntins or argon in the air space. 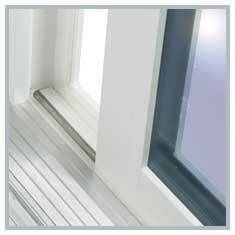 Test Window | 2 Equal Lite 95-1/2" x 95-1/2"
Air Infiltration .05 cfm/sq. ft.
©2019 Gerkin Windows & Doors. All rights reserved.